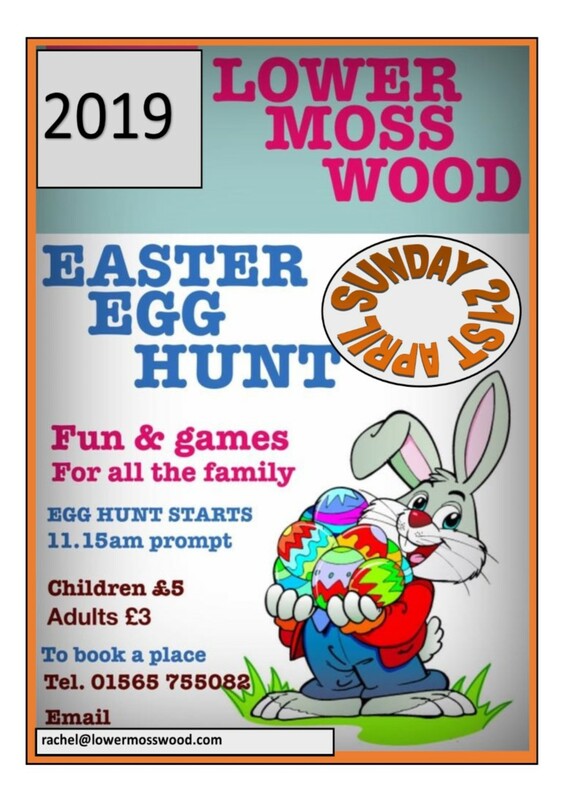 Celebrate Easter Sunday at Lower Moss Wood and enjoy a walk in the fresh air around our nature reserve searching for chocolate eggs and collecting clues. The Easter Bunny will be here too!! Please be aware that we do not allow access to the wildlife hospital.